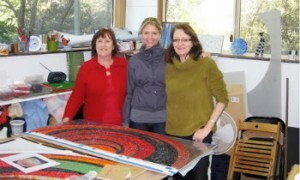 Our 2011 mentorship, offered by Marian Shapiro is now complete and installed in Goulburn Street, Sydney. Two lucky mentees worked with Marian over a period of months to realise this project. Those of you who receive our newsletters would have read about this.